The Gallery Golf Club is set in the lush desert environment of the Tortolita Mountains and provides 36 holes of challenging golf. With multiple sets of tees the North and South course are enjoyable for all skill levels. The The Gallery Golf Club courses provide dramatically different architecture that requires shot making at its finest. The Gallery Golf Club – North Course sits more into the mountains and provides views in all directions. Elevation changes from tee to green provide challenges in club selection and ability to gauge the wind before striking each shot. The Gallery Golf Club – South Course is more of a links feel it that it has 8 holes leaving the club house and 10 holes coming back. Wide fairways are the norm, however the greens are large – let’s make that extra large – and require accurate approach shots – and long and winding putts can leave the player wondering how to navigate to the hole. 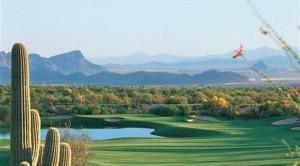 Looking for a home in Tucson OR searching for a house for sale Tucson? We can Help!